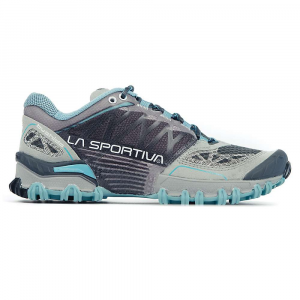 Supported by the La Sportiva Women's Bushido Trail Running Shoe, you are the ultimate modern woods warrior. You rip off 7-minute miles when trouncing technical terrain. This shoe grinds over jagged shards of boulders and hugs your foot so the only slipping you encounter is from a bit of spilled milk in the kitchen before your run. The unique lug design means every step you take moves you in the right direction with nary a hint of slippage. 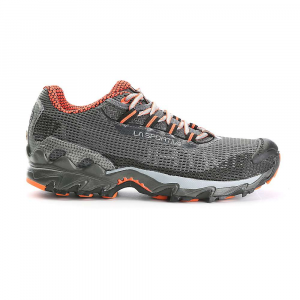 A refreshing blend of air mesh, thermal microfiber, and gnarly ripstop make the upper a breath-giving experience. The TPU toe cap protects your digits from damaging encounters with brutal trail trash. STB Control construction wraps a TPU frame around your upper foot, creating sensational synergy between the midsole and the top of the shoe. 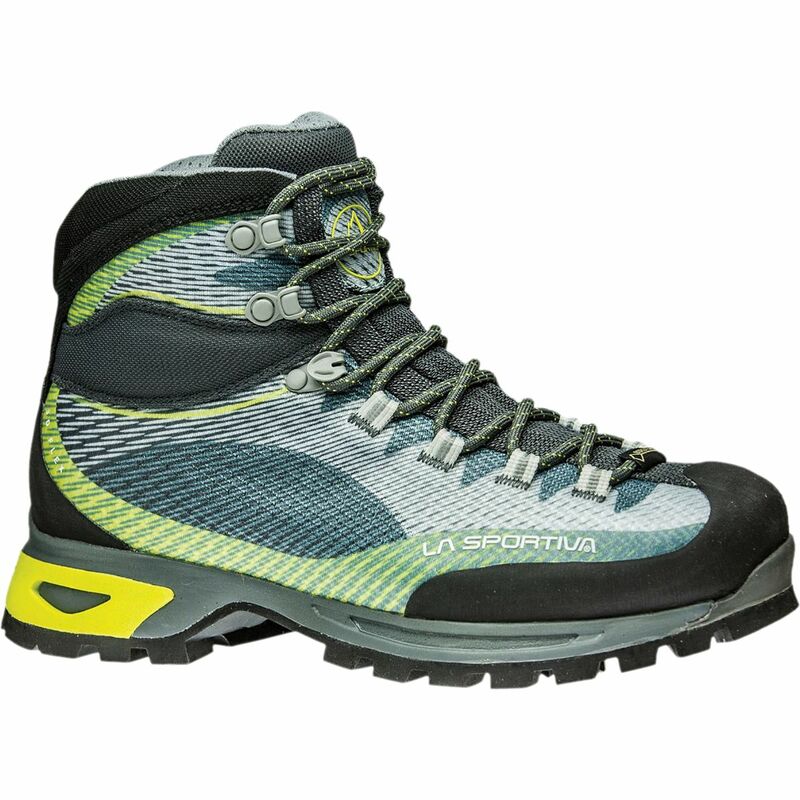 This design firmly holds your foot in place for sure-footed stepping when you're tackling a steep mountain path. 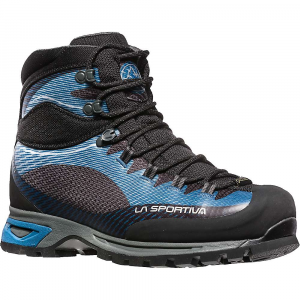 The compression-moulded, dual-density EVA midsole softens the ride without interfering with ground communication. The minimal 14. 5mm stack height keeps your foot close to the earth, and a 6mm drop doesn't leave you tip-toeing above the tree line. Up front, a rock guard stands at attention to protect your foot from bruising tree limbs. The FriXion XT outsole redefines sticky grip. The Impact Brake System takes the grabby rubber and turns it into rounded lugs rising up and around the midsole. Friction increases on inclines and your foot maintain continual contact with the ground.